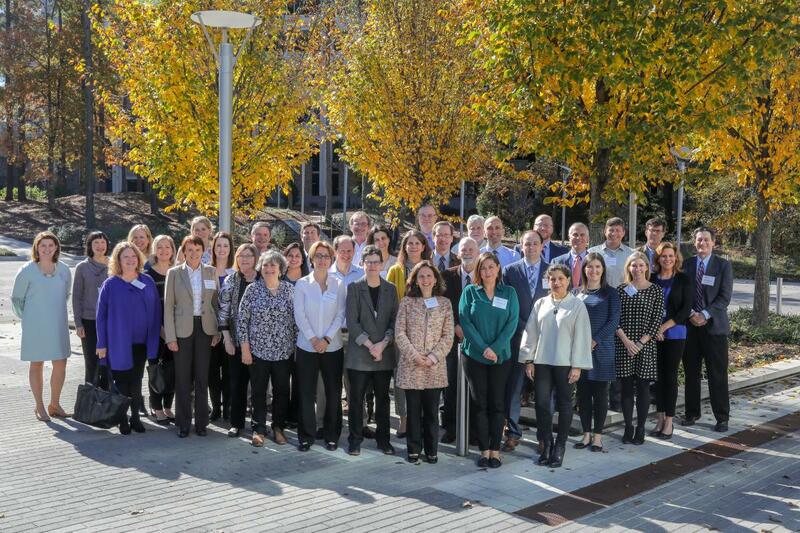 In November 2018, the Duke Vaccine and Trials Unit hosted the Vaccine and Treatment Evaluation Unit (VTEU) Annual Meeting. Investigators from the nine U.S. based VTEUs and the Division of Microbiology and Infectious Disease, NIAID, met at Duke to share their work and discuss ways to improve clinical trials efficiency. Director of the Duke VTEU, Dr. Emmanuel "Chip" Walter, MD, MPH, kicked off the annual meeting at the JB Duke Hotel by welcoming the group to Duke and giving a brief overview of Durham and Duke. Dr. Walter had the pleasure of introducing Dean Mary Klotman, MD, and the DHVI Chief Operating Officer, Tom Denny, MSc, MPhil, who also gave welcoming remarks and a brief history of Duke and the Duke Human Vaccine Institute. The NIAID established the VTEUs in 1962. They provide a ready resource for conducting clinical trials of novel vaccines and treatments for infectious diseases. The VTEUs have played a key role in the NIAID effort to develop new and improved vaccines and therapies against infectious diseases for the last six decades. They have conducted hundreds of clinical trials, many of which have contributed to vaccine licensure.